Having not herd the previous volumes that accompany this album, did hinder me somewhat when approaching this work. However, any album should stand out on its own merits and it has been a long five-year gap between ‘Vol. 2’ and this one. Inspired by childhood memories of films from the 1970’s including Tarkovsky’s adaptation of ‘Solaris’, there is a personal presence to this release that sometimes can be hard for others without similar experiences to latch onto. Musically then, is where this album is going to have to (and always should) do its talking. Seamlessly flowing into track two, ‘Atmosphere’ glides into the sonic wall of drifting operatic pads that is ‘Helm Transphaser’. With a heavy leaning on Sci-Fi this plays out well, giving rise to a well of emotions and bass rich underlay that grabs the attention and takes the listener on an immersive journey. ‘2ndevol’ in contrast places subtle harmonics amongst a garden of glistening ambient textures that play into the hands of much of the Japanese market, that I have encountered within this genre; and folds into the utterly beautiful ‘Radieuse’ that captures some of the best moments of Fennesz, with wonderful rich tones and folding glorious atmospherics. From the majesty of ‘Isola’, to the sombre ‘Mesosphere’ and the faded piano of ‘Spiegel; ‘Xerrox Vol. 3’ is a massive display of talent and spatial awareness of sound, that immediately had me hunting down its counterparts; An immense and impressive album from start to finish. Subtitled ‘Sonar Poems For my Sleepless Friends’, it’s not going to take a genius to work out the pace of Rush’s latest release and the concept with which she has chosen. Cultivating a dream like atmosphere is where Dasha excels. The obscure background of swirling electronics on ‘Dance with Edgar Poe’ provide a bed for off kilter piano and her evocative vocals; whilst ‘Whispers and Albert’ drifts with a cold ambient breath. Low-key electronica is the staple of ‘Sleepstep’; and whilst not being anything of technical brilliance, allows for Rush to speak with a subtlety and suave sultriness that overrides the need for anything on the high end of geekdom in the production stakes. When she avoids anything with rhythm, her ambient leanings provide something much more concise and engaging. For me, where Dasha falls short is in the general construction of the songs on offer. Being of moderate length for the most part, there is something that feels ultimately unfinished with them; and most tracks stop abruptly as opposed to evolving into their true potential. The same can be said for song placement. Overall, I can see the potential with what has been attempted and more emphasis should have been directed in the vocal area, where Rush provides an oily presence to her words, that seductively ooze attention. 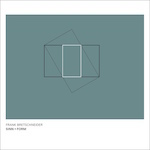 After the last release I heard from Bretschneider, ‘Super Trigger’, I expected great things from this latest album. There was previously a heavy leaning to the works of Funckarma that I appreciated greatly and a greater pressure to follow this up with something of equal competency. ‘Pattern Recognition’ as an opener, doesn’t tick any boxes for me, with a mash up of electronic nonsense that irritates as opposed to engaging the listener; as does ‘Crisis?, What Crisis?’. Given that these two tracks total a mass of 15 minutes, it’s a lot to endure. Tragically, as I endured my way through the tracks (skipping most of them half way) it’s evident that Bretschneider has found a route up his own back side and produced a nonsensical album of electronic drivel, with a sea of pointless bleeps and perpetually annoying guff. There are artists out there that deserve the platform that Frank has robbed them of; and had this been submitted to myself for a prospective release, I wouldn’t have even taken the time to get back in touch. In the age of heresy that is digital downloads, it’s brilliant to see a label knocking out 12” EP’s and also physical releases of great quality (for the most part). 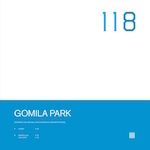 I will hold my hand up high and express now that I haven’t heard of Gomilla Park before, but will be hunting down previous works with immediate effect. Opening up this brief but effective extended player, is the rip-roaring ‘Leibniz’ with it’s punishing overdriven bass line; with a pounding monotone rhythm section that punches holes in the air for a slicing ambient pad to tear a visceral scar upon the listener. Up next is the unsettling ‘Ramon Llull’, with the odd flutter of demonic mutterings threatening to rage through a soundtrack of ominous electronic simplicity that lends to the sparse ambient leanings of closer, ‘Calculus’ well. The beauty of this release is that it shows Gomilla Park’s varying degrees of musicianship to great effect. Capitalising on a knowledge of old school Industrial and modern electronica is surely a gateway to better things; and I hope that my excursion into all things by this duo matches up to what this EP has presented. A thumping Industrial stomp sets the tone for Kangding Ray’s fourth album release on the excellent Raster Notion label. An ominous, dark and brooding tone that hints at greater things to come; ‘Serendipity March’ leads into the subterranean techno of ‘Evento’ via the way of interim, ‘The River’. Think of a pitch-black, covered in charcoal version of Faithless and you wouldn’t be far off the mark. The atmosphere on ’Solens Arc’ further paddles its way amongst murky territories on ‘Blank Empire’, with a grinding bass line accompanied by a thumping beat and tribal tympani, whilst sampled breaths of air are exhaled through the darkness. This latest album does somewhat gel together as one long solid set, if allowed. With the occasional interlude in the form of the futuristic electronica (‘History of Obscurity’) and the droning feedback foundations of ‘Crystal’, where cold, blank keyboard work hovers above the fray in desolate fashion, only to drop into an array of ambience and Industrial flabby beats. Overall, Kangding Ray has produced an album of quality musicianship based on sparing minimalism, giving each element space to breathe; and provides the listener with one of Raster Notions finer moments in their immense catalogue. Doing exactly what it states on the tin, comprising of four tracks this 12” EP leaves the original version of the title track right until the end, which is peculiar in itself. Obscure, minimal Techno isn’t anything new, but sounds all the more clinical and effective, accompanied by emotionless German vocals. Here, Atom TM does effectively break down the track, with three other versions that are merely variants on a theme; whether that is the stripped and de-reverberated ‘Boys Noise Remix’, or with additional beat-play in the form of the ‘Linear Remix’. The ‘Function Remix’ feels ever so slightly dubbed up and suffers from being the weakest of the versions but copes well enough. Effectively, unless you are a DJ or a die-hard collector there would be little on this release to go spend your hard earned cash on. There isn’t that much that can be said that’s negative about this EP, but then there isn’t much to rave (pardon the pun) on about either and would have benefitted from having at least, a different track to work with so that boredom (which inevitably sets in) is kept to a minimum. 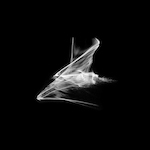 Bristol based Emptyset follow up their ‘Collapsed’ EP with nine tracks of noise infused ambience on the experimental and underrated Raster Notion label. Teetering on the edges of power electronics there isn’t a lot on this album that I haven’t encountered before (or actually own). 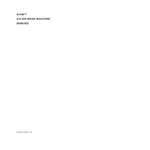 Usually this kind of work appears on labels that release pure industrial; I wouldn’t be surprised however if neither Emptyset nor Raster Notion is oblivious to the scene they are mirroring with this album. For the most part there is little to separate the tracks, with most of them following a similar format of bass rumbles and mechanical percussion over layering dark ambience. Construction of the tracks has been adequately produced and therefore ultimately sounds more professional than the nonsensical clattering that is evident on many a release by the under policed PE scene, where literally anything and everything is released no matter how accomplished or terrible; of course I would expect nothing but quality from the label that Emptyset have found their home with. 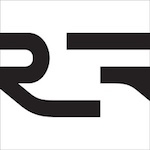 Overall though, ‘Recur’ is a decent solid display from start to finish, but just lacks that spark of originality to set it above many of those that have come before.